The Porter x adidas Stan Smith "80th Anniversary" Is Coming Soon! Adidas is no stranger to collaborations. Teaming up with Japanese luggage and travel accessory brand, Porter, their newest collab takes over the Stan Smith silhouette. The sneaker comes to retailers in celebration of Porter's 80 year anniversary! 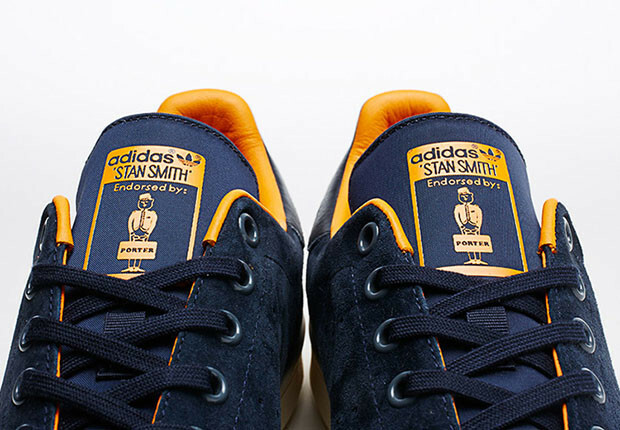 The Porter x adidas Stan Smith "80th Anniversary" is a great addition to adidas. 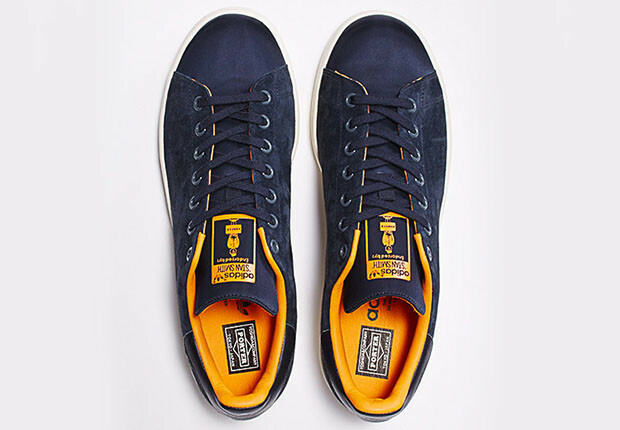 The sneaker is mostly covered in a navy suede build with plenty of contrasting hits of bright orange. A white sole balances things out as the sneaker is finished off by Porter branding on the tongue and insole. Releasing sometime soon in Japan, stay tuned to SneakerShouts as we keep you updated with the latest info!